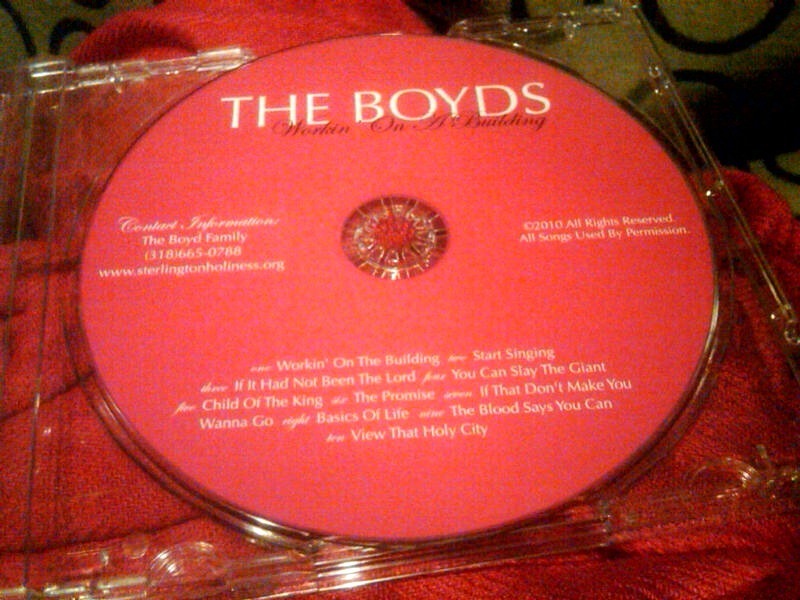 Several months ago I posted about the Boyd's new CD "Working On A Building". They recorded this wonderful CD to raise additional funds for construction of their new church building in Sterlington, Louisiana. They are so very close to moving into their new Sanctuary and every CD they sell brings them that much closer to completion. 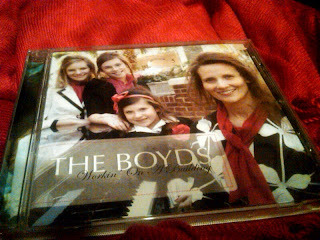 If you have not ordered their CD yet I encourage you to do so. You will be blessed by Sis. 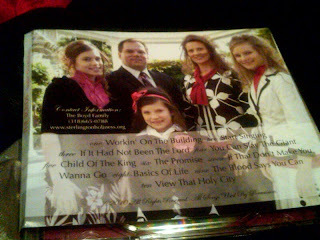 Shea and the girls singing and Sterlington Holiness Tabernacle will be blessed by your gift. The original post and contact information is below. Pastor Tracy Boyd and his wife Sis. Shea have three girls. They recently went to Nashville and recorded a CD. The recording turned out great! All the proceeds from the sale of the CD goes directly to the building fund of their church, Sterlington Holiness Tabernacle in Sterlington, Louisiana. They have been building a new church and they have been building debt free. They need this CD to sell well to raise much needed funds for the completion of their new church. They are selling the CD for $15 but I am sure they would not reject larger donations. 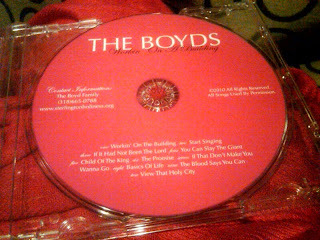 You will love the CD and your donation would be a great help. They are super great people and have a wonderful congregation of fine folks. I have listed their contact information below.